Lightweight, aluminum bipod features durable stainless steel locking components and grippy rubber feet to give you a rugged, sure-footed shooting platform. 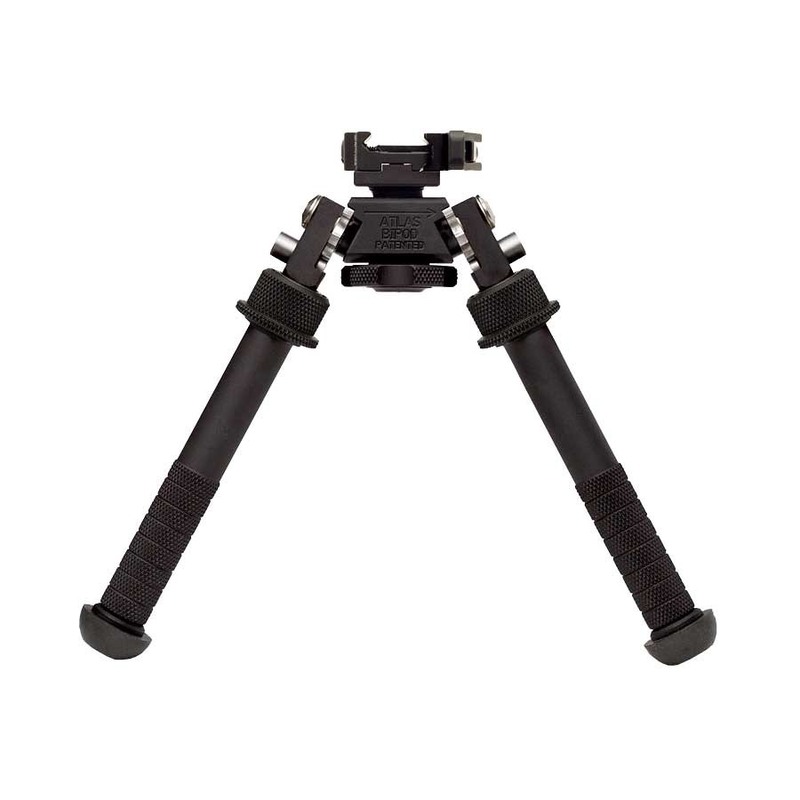 Independently-adjustable, five-position legs extend from 5" to 9" and allow up to 180° of front-to-back adjustment. Pans 30° left or right for smooth target tracking, plus 30° of cant adjustment makes it easy to align your crosshairs, regardless of terrain. Available with three attachment options: a quick-detach Picatinny lever mount, a more permanent two-screw Picatinny mount, or a No-Clamp mounting option that fits any 17S size lever-style mount when using the proper adapter (sold separately), including the A.R.M.S. 17S, American Defense AD-170, Badger Ordnance TRAMP, or LaRue Tactical LT271.